Bahrain Airport Services Company (BAS) honored 42 employees from various departments and on the occasion of their selection of employees of the month. Salman Al-Mahmeed, CEO of BAS, said: “This recognition is the largest in the past years and it is a testament to BAS’s commitment to recognize its highly qualified staff who are doing their job perfectly”. 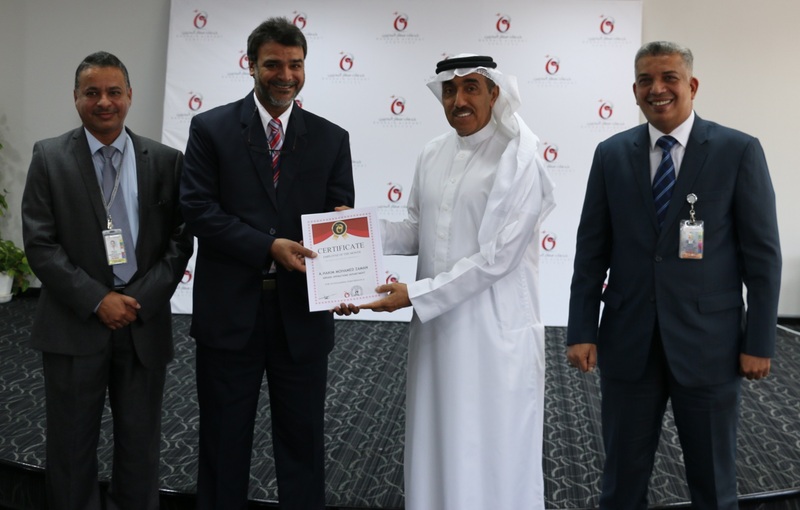 He added: “The company is conducting a comprehensive periodic review aimed at improving its training programs and developing the skills of its employees, thus increasing the chances of their career advancement”. He also noted that the company is constantly reviewing its functional structures and developing them to achieve the highest number of employees at the highest levels of job satisfaction. The honors are: Pandi Alagu, Hasanin merza, Ranjeet sunghm Pradeep kumara, Hadi hashim, Mohammed Mahdi, Jawad mirza, Saleh Ebrahim, Richard d’costa, Sreedharan Parakash, Mohammed Hussain, Hussain Abbas, Kalimoorthi, Faris Hussain, Ali Ahmed, Yousif Almutawa, Ali Mohammed, Khalid Alzayani, Adel A.Rahim, Suebsak, Mohamed Altamimi, Khalid Nairooz, Hamad Aman, Sayed Mahmood hussain, Taher Ali, Mahmood ali, Essa Juma, Ebrahim Hassan, A.Hakim mohamed, Nooh taqi, Anoop antony, Jijo, Fazal, Firoz Osman, Ebrahum ali, Khadija Adel, Abdulrahman Saad, Aysha Saleh, Zainab Ali, Hussain ali, Hussain adel, and Jassim Mohamed. Established in 1977, Bahrain Airport Services Company (BAS) has a 40 year long track record of continuous service and has been the sole operator of ground services at Bahrain International Airport since it was established as the first international airport in the Arabian Gulf region. It is also a trusted name in the world of services as a company certified by the Air Transport Safety Audit Program of the International Air Transport Association. BAS offers a number of commercial activities including: aircraft and passenger handling services, catering services, aircraft engineering services, Bas Engineering Training Centre (BAETC), as well as owning and managing airport lounges.